Phil Cowcill is the director of Development Made Simple. Phil started in multimedia development in 1985 when he was part of a team that developed Canada’s first Level III interactive videodisc, and he has been working full-time in the multimedia field since then. In 1995, Phil joined Canadore College where he set up, coordinated, and taught the interactive multimedia post-graduate program. Thompson Publishing released Phil’s first academic publication in 2004, and he joined Macromedia/Adobe in 2007 as a quality assurance engineer. 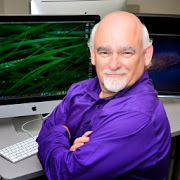 Phil travels and speaks at a variety of educational and multimedia conferences all over North America.